I was recently hanging photos and posters in my house, constantly trying to find my handy dandy bubble level. If I would have known about this trick in Google Search, I might saved a bit of time. 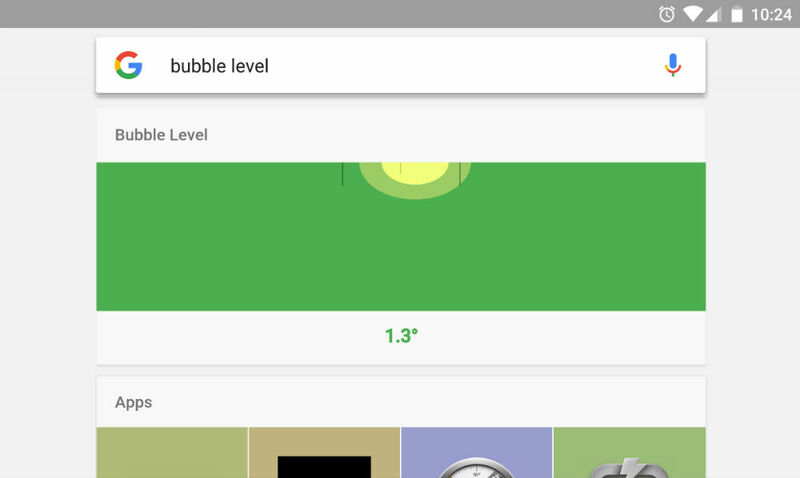 As posted onto reddit, if you search “Bubble Level” via Google, an interactive bubble level will hit your screen, perfect for your leveling needs. While there are plenty of apps available for free on Google Play, this trick will allow you to save a bit of storage on your device, as running it through the search results does not require many resources. If you enable your device to go into landscape mode, the length of your phone should be just fine for most leveling jobs, such as picture frames. I gave it a shot, and while a phone is probably not the ideal solution for leveling everything in your home, it certainly does the trick.